If you are interested in meeting with an AvL Technologies representative during any of the following shows, call us at 828-250-9950 or send us an email here. 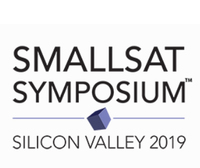 With the satellite industry shifting toward smaller satellites, industry leaders will gather at The SmallSat Symposium to share the latest trends and collaborate on new developments. AvL's Tony Wilkey will speak on the Ground System Manufacturers and Service Suppliers panel on Feb. 6 at 9:30am. Also attending The SmallSat Symposium will be Bryan Kerns, Krystal Dredge, Bob Reitz and Tony Rogers. Please contact us to arrange a meeting during the show! To attend the SmallSat Symposium and receive a discount at registration, use code AVL_VISITOR. Here's our story: From creation to distribution to consumption, across multiple platforms and countless nationalities, NAB Show is where global visionaries convene to bring content to life in new and exciting ways. No one knows media, entertainment or technology like NAB and this is THE annual event for those serious about storytelling. Showcasing cutting-edge technologies, the hottest products, and next generation applications for buyers from the enterprise, finance, media, military & government, telecommunications, and transportation sectors. Connectivity & aerospace rock stars with brilliant minds leading discussions on the future of satellite connectivity and how the landscape is changing for so many markets. 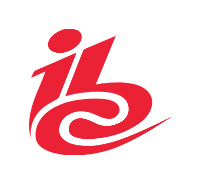 IBC is the world's most influential media, entertainment and technology show. Six leading international bodies are the partners behind IBC, representing both exhibitors and visitors. In 2018 IBC attracted more than 55,000 attendees from 170 countries around the world, exhibiting more than 1,700 of the world's key technology suppliers and showcasing a debate-leading conference. Attend the OilComm Conference & Exposition and join 1000+ technology experts from upstream, midstream, transportation, and telecommunication companies to discover the new generation of digital innovations that will drive business forward. Explore how you can implement automation, machine-learning, big data, VR, cybersecurity, satellite communications, digital oilfield solutions, and other digital technologies to your projects and processes. Hosted by SatNews, an industry leader is satellite news, media and events for more than 30 years, Satellite Innovation is tailored specifically for the satellite industry, and strives to provide a big picture takeaway of how new technologies are influencing SatCom businesses, and how organizations can optimally utilize these developements. 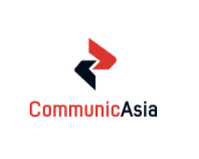 In an ever-evolving industry, we also know the importance of interpersonal connections and strive to foster an environment conducive to focused converstations and networking.